Whether you’re gathering the gang together for a random Friday night, or the whole family is coming over for the holidays, planning a party can be stressful. There are so many things to do, prepare and clean! Leave that stress at the door. It doesn’t have to be that way. Instead, stay at ease with a little preparation and dance the night away once everyone arrives. With a few tips on getting ready for the party, you’ll be hosting a gathering every single weekend. Usually, if you’re throwing a party, you’ve known about this for more than a couple of days. So don’t wait until the night before to figure out what you all need to do. Create a to-do list and categorize it based on priority. Things like cleaning and organizing the house can be done the day before but getting food ready might need more time. Also, have an idea about how many people are coming. Have friends and family RSVP so you know how much food and drinks you need to prepare. Don’t think that everything must fall on your shoulders. People coming over for a party are usually willing to help or bring something over. So take advantage of this. Assign tasks to individual family members leading up to the party. Smaller chores like cleaning can be given to the kids. Ask your significant other to help with the grocery list. See if guests can bring desserts or drinks to lighten up your load. Even if guests are bringing something of their own though, it’s always a good idea to provide a few things everyone can enjoy. 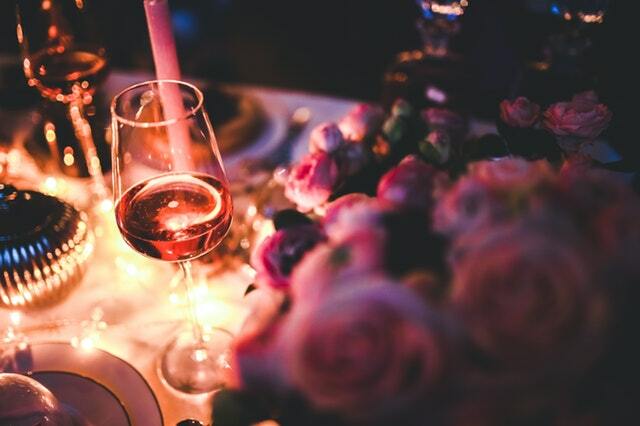 Have a simple menu of food and beverages (alcoholic and non-alcoholic) available for your guests – courtesy of you! Sometimes you’ll need to pop into the kitchen to finishing cooking appetizers while the party is in full force. But if you have your best party outfit on and don’t want to wreck it, what do you do? Simple solution – aprons and chef coats. Look for things that will protect your clothes while working in the kitchen. Chef coats or aprons (https://www.chefworks.com/aprons) are great as you can put them over your existing outfit when needed. Once you’re done, just remove the apron and you’re back in party mode. There’s bound to be a spill to happen at a party so prepare yourself for the occasion. You can still be in party mode and having fun while quickly wiping up a spilt drink on the floor. With that being said, no matter how hard you try to plan, nothing works perfectly. Be prepared for little surprises or for someone (even you) to forget something. Laugh it off and carry on with the night. Remember that people are coming over to see and hang out with you, not to make sure everything is in perfect order. So enjoy yourself and worry about making memories and having a sore stomach from all the laughter.